Rochester is often praised for its dynamic arts scene. But just how inclusive and equitable is that scene? Members of a recently formed arts group say, in so many words, not enough. So, they decided to do something about it. 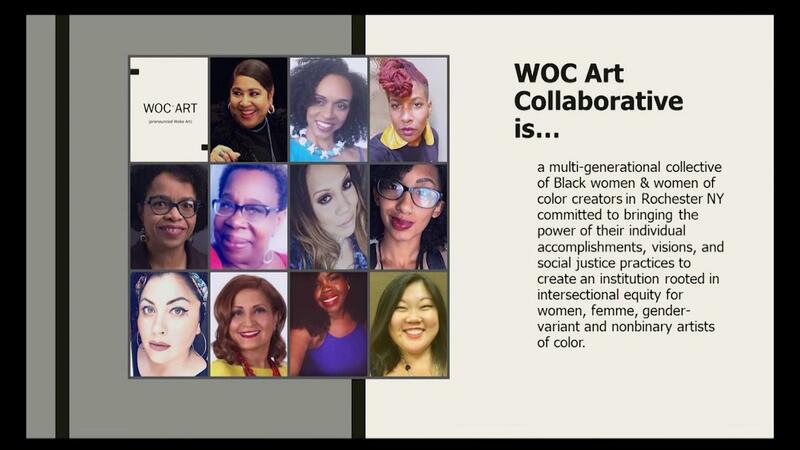 A number of heavy-hitters in the arts world - many renowned in Rochester and, some, around the world - recently launched the WOC Art Collaborative. The multi-generational collective of black women and women of color creators are advocating for each other and finding ways to support other creatives in Rochester working to impact the community.